Life Matters. 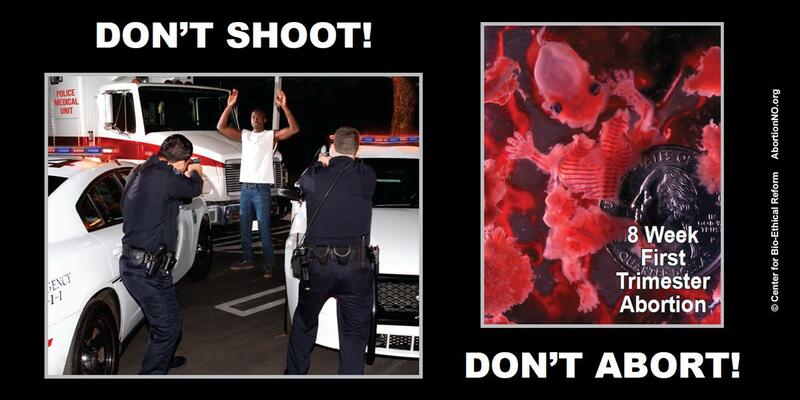 We uphold the sanctity of all life. 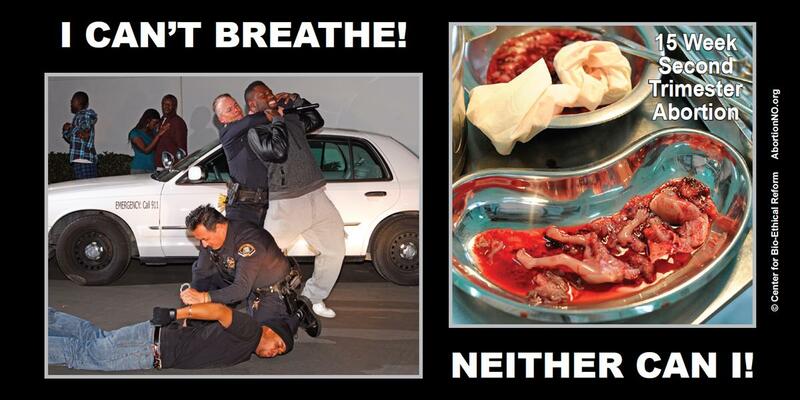 We who are blessed with life and freedom must protect the innocent, the defenseless and the vulnerable. 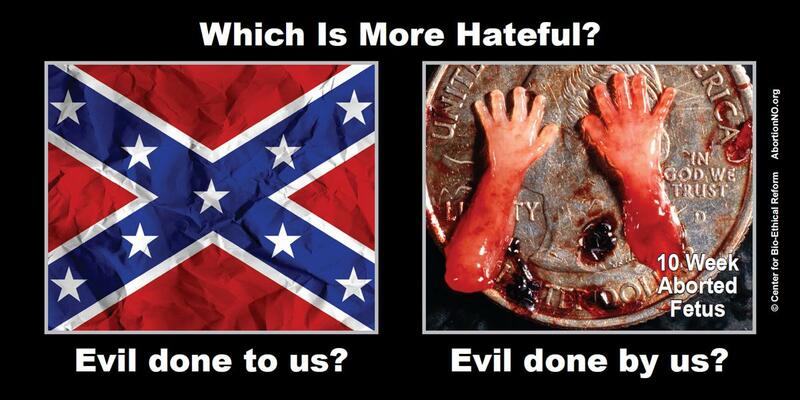 The most vulnerable among us are the unborn, who are being killed by the millions each year in the United States. 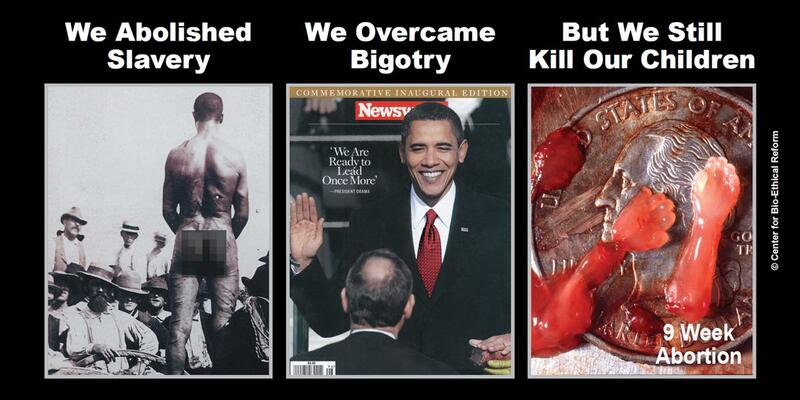 Protests that racially divide us and undermine law enforcement distract from the bigger issues. 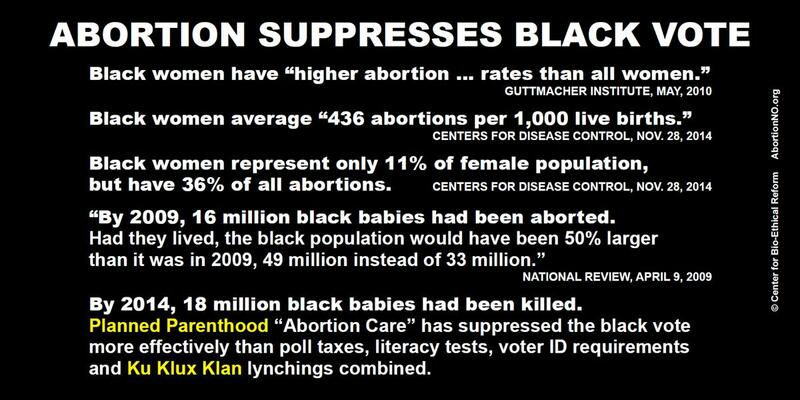 The American black population is being killed in mass, not visibly in the streets, but silently in the womb. This must end. 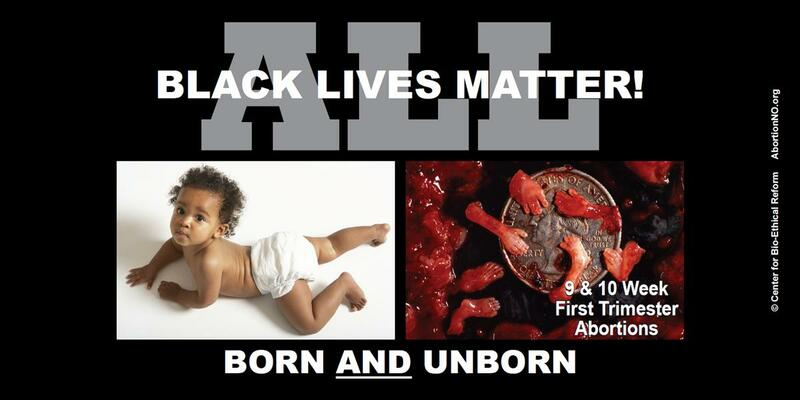 If "Black Life Matters," then we must do all we can to end the Black Genocide that occurs daily in the wombs of mothers. We must do all we can to strengthen families, to teach our youth responsibility, and to raise our children with love and dignity.